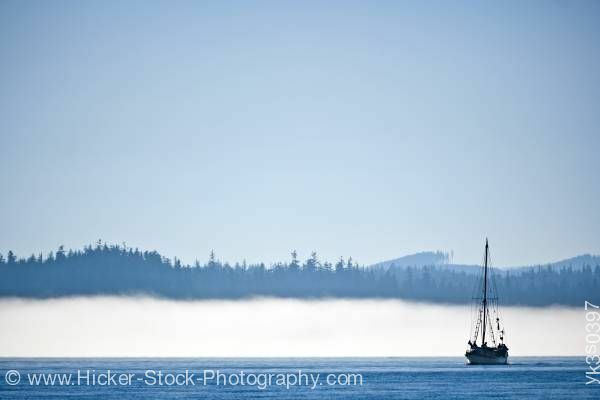 Stock photo of a small sailboat coming out of a fog bank with clear blue sky near Port Hardy. Sailboat coming out of fog off Northern Vancouver Island, British Columbia, Canada. Sailboat with clear blue sky near a fog bank near Port Hardy, Vancouver Island, British Columbia, Canada.